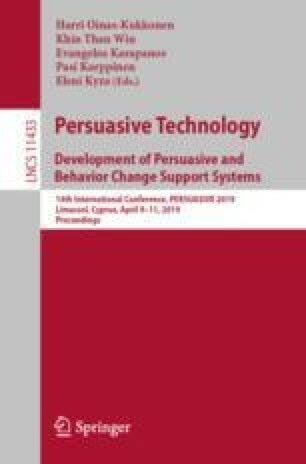 Literature on persuasive technology acknowledges the importance of promoting reflection within design research and practice. This paper takes up a reflection framework suggested in previous research as assisting the reasoning of researchers, designers or other stakeholders concerning values, goals, actions, and their consequences in a project. It contributes to this research by demonstrating additional evidence for the applicability of the reflection framework by applying it to a published case. This work can guide researchers and practitioners by means of issues to be considered while reflecting on as well as communicating value-related aspects in a project, so that significant value choices and the rationale for actions taken to promote them are clear.